This day trip consists of an easy local hike and a 3 hour whale watching trip with Stubbs Island Whale Watching in Telegraph Cove. There will be an hour of free time after whale watching to enjoy a salmon BBQ, have a beer or meal in the pub, and explore historic Telegraph Cove. We will provide the guides, transportation, and local knowledge. Come with us and be sure to relax and truly experience all of different facets of Vancouver Island North. And be sure to bring your camera! 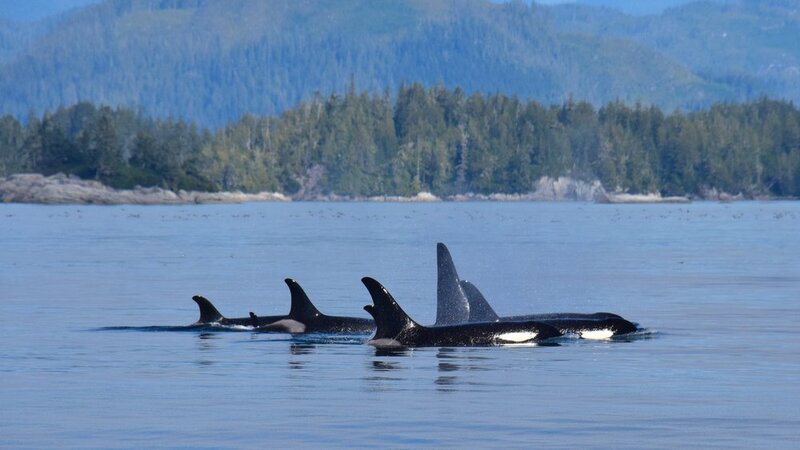 Vancouver Island North is home to several pods of local resident orca whales. These majestic beasts patrol the rich waters in the region providing those of us who have the opportunity to see them great enjoyment. We invite you to share in this local pass time with a tour expertly guided by Stubbs Whale Watching, a team dedicated to respectful tour practices and the protection of our most celebrated residents. We will start the tour with a local hike to either the Old Suquash Coal Mine or the Beaver Lake Interpretive Trail. Both hikes are easy and offer guests a chance to really feel what our history and diverse ecosystems have to offer. There is more infomration about both of these hikes on our blog page. - Guests are asked to bring water, snacks/lunch, sunscreen, and warm clothes for whale watching. Reservations can be pre-booked for the salmon BBQ or for a table in the cafe. - There is a limited menu available at the Killer Whale Cafe for tour guests for $16 + GST. The salmon or rib BBQ is available on Monday's, Wednesday's, Friday's and Saturday's. This is a buffet style meal with a plentiful amount of sides and salads available. $24.95 + GST for rib BBQ and $26.95 + GST for the salmon BBQ. This tour will start up again in Summer 2018.